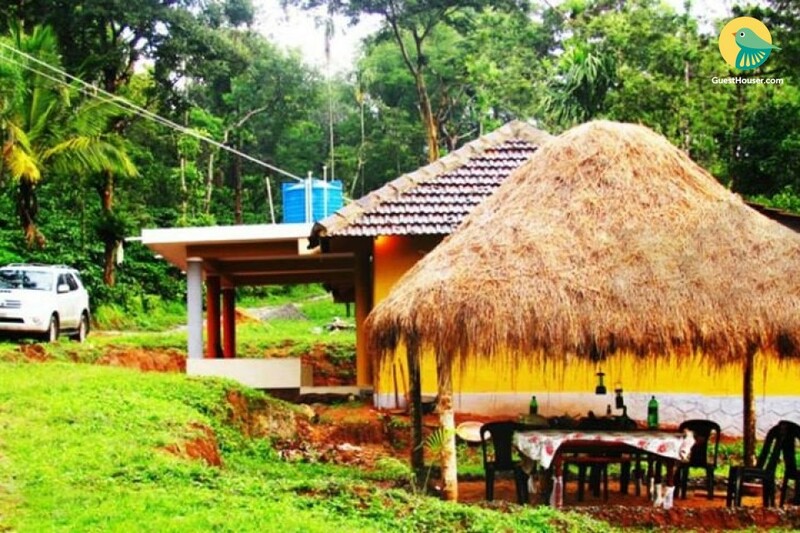 Situated in the pristine wilderness that is characteristic of Kodagu, this home stay is rustic and simple and suitable for travellers who want to experience an authentic local stay. A thatched roof sit-out gazebo with a dining table and chairs ensures that guests can have their meals with a calming view of the green vistas. Authentic Kodava cuisine is served and the menu can be altered to suit children, on request. 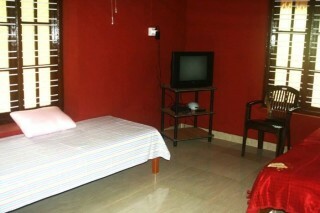 The rooms are simple and provides basic comfort. 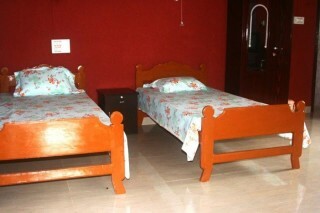 The bathrooms provide essential toiletries and bath linen. 2 fully furnished bedrooms with attached bathroom and a place for your Driver to stay Spacious open balcony Housekeeping is available on daily basis Homely Food Cable TV 24 Hrs. Hot and cold water Car Parking facility Village walk The food we serve is a typical Coorg dishes. You can actually suggest us if you have a special preference. This homestay is a scenic structure among the coffee and tree plantations. Our estate can transform your holidays, and make them more exciting & adventurous with a walk through the spice plantation. Fresh air and calm and quiet surroundings! Guests are requested to provide valid ID proof at the time of check-in. Pick up and drop from Airport/Railway station/Bus stands. Arranging Tourist Vehicles.